Sikkim has a touch of India, Tibet, Nepal and Bhutan which gets reflected through their tradition, culture and cuisine. Everyone undertaking a North Sikkim tour package has realised that the people of Sikkim are great foodies and this is why their cuisine is the perfect blend of various countries and their culture. Whichever dish you opt for, the style of cooking and the raw ingredients used remain more or less the same. The people of Sikkim are quite proud of their dietary culture as few of their famous dishes have already entered the kitchens of many Indian households. The new generation also loves experimenting with the traditional dishes with the desire to make them more delicious and unique. There are a few common dishes everyone opting for a Sikkim Tour Package can experience during their trip. This is one of the dishes which is not only famous in Sikkim but also outside. Visit any eating joint in India and there are high chances for you to see this item on their menu. Dumplings are made using flour dough before stuffing them with minced meat, onion, garlic, ginger and chilly. 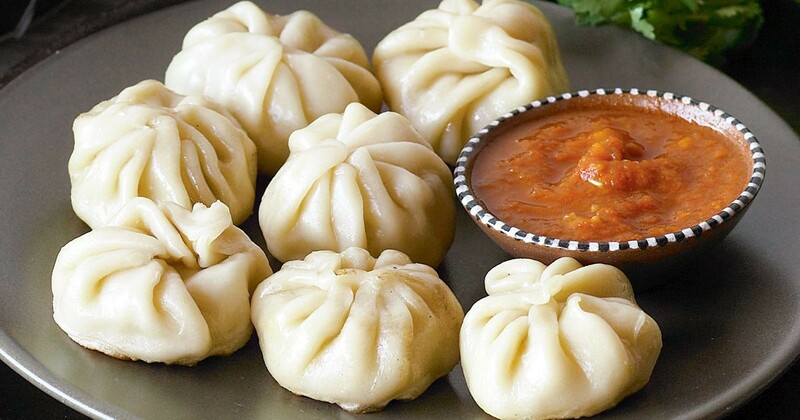 You can also try vegetable momo where the stuffing is made using vegetables or cheese. The dumplings are steamed and served with clear soup. Also known as Gya Thuk or Noodle Soup, Thukpa is a specialized non-vegetarian dish of Sikkim. The method of preparation is quite simple. Noodles are boiled and kept aside. The water used to boil the noodles is then heated and fried minced meat is added. Sometimes, vegetables are also added according to the preference of the customer. Finally, the boiled noodles are added and topped with chopped green onion leaves. Soyabean is fermented to prepare this famous vegetarian dish of Sikkim. The other ingredients used to prepare kinema are green chillies, tomato, onion and turmeric powder. It is used as the main curry and served with rice dishes. This is the vegetarian alternative to meat curries and a common dish the people of Sikkim include in their regular meal. If you are one of the vegetarian tourists opting for a North Sikkim tour package and want to treat your taste buds with a famous vegetarian dish of Sikkim, try Gundruk or Sinki. They are generally prepared during the winter months when there is an abundant supply of vegetables. The leaves of cauliflower, mustard and radish are used to make Gundruk and Sinki soup is prepared using radish taproot. The vegetable products are fermented which render the dishes a slight sour taste and let you preserve them for almost a year. Choose from any of the dishes stated above during your Sikkim tour and fulfil your appetite without punching a hole in your pocket. You can even ask your travel agent in Sikkim to suggest a few more dishes you can try during your trip.